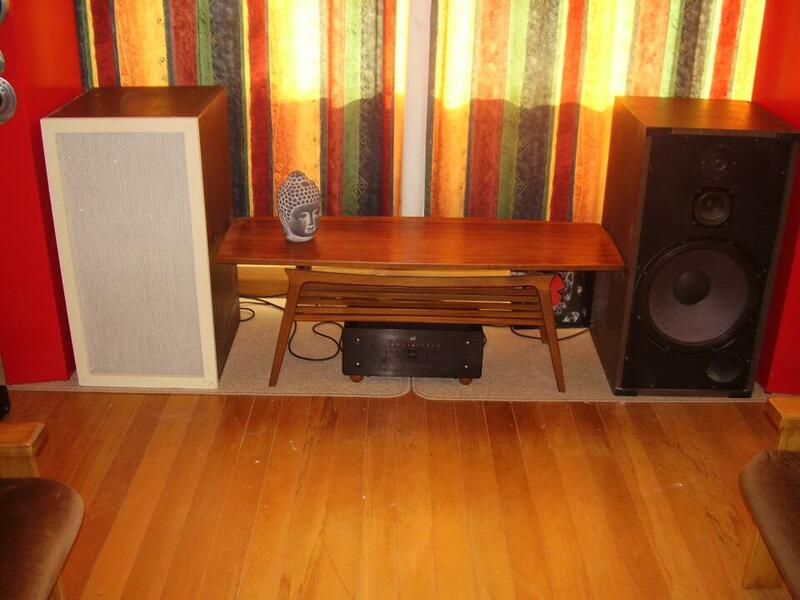 Features the superb K 33 15 inch woofer as used in the famous Klipshhorn Speakers. The Allen HC-15 speaker (HC-14 in veneered finishes) These three-way speaker cabinets include a 15″ woofer, as well as a 4″ mid-range and a 1″ tweeter. The result is a full-range cabinet with a perfect blend of bass, midrange and treble capabilities. The Allen HC-14 and 15 cabinets faithfully recreate the high-fidelity sounds produced by Allen’s advanced Renaissance™ tone-generation system. I will try them with a small vave amp next should be a great match.